This chimney cap is designed for high wind conditions. This cap is for venting type B gas appliances. 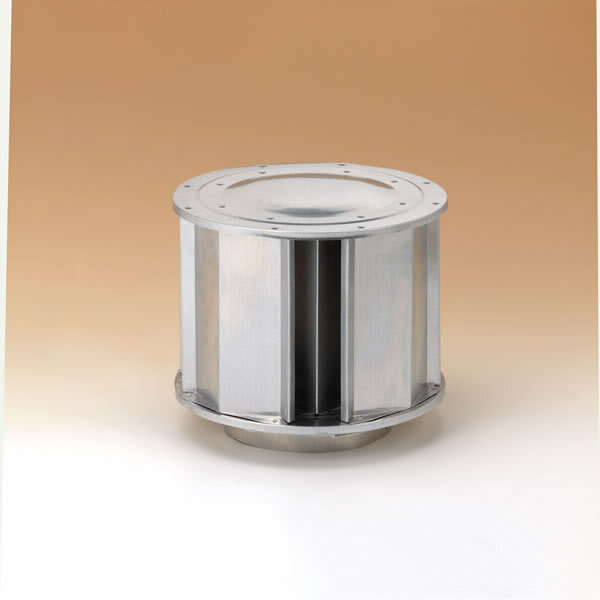 This Gas Vent Vertical High-Wind Rain Cap is made by Dura-Vent Type B and will work with perfect compatibility with other Dura-Vent Type B vent components. This rain cap gives you everything you need for quick and easy installation. This Dura-Vent Type B rain cap is so durably built that the manufacturer has feature a twenty five year warranty on the product. What are the inside measurements? The inside measurements correspond with 5" Dura-Vent B-vent pipe, which has an inside diameter of 5" and an outside diameter of 5 5/8".